To 1966: Raised on a 5,000-acre cattle ranch in western Montana, using firearms from age eight. Attended schools in western Montana, including the University of Montana, and during a portion of high school, attended Shattuck Military Academy, Fairbault, Minnesota. August 1966: Enlisted for three years in the U.S. Army, and was honorably discharged in August, 1969. While in the Army, qualified expert with every small arm fired, including M-14, M-14A2, 1911 - .45 auto, M-60 machine gun, and M-2 - .50 caliber machine gun. No rating but qualification and lots of experience and practice with LAW (Light Antitank Weapon - a shoulder-fired rocket), M-69 grenade launcher, and “Quad 50” a syncronomous cluster of four, .50 caliber machine guns. January, 1972: Employed as a firefighter and subsequently as an Advanced Life Support Paramedic by the Fairbanks, Alaska, Fire Department. While serving in that capacity, responded to and treated many gunshot victims. Obtained first-hand experience of the trauma and suffering caused by misuse or improper use of firearms. 1978: Certified by the American Heart Association as an Advanced Cardiac Life Support Instructor. 1974 to 1979: Instructor of Fire Science and Emergency Medicine part time, Tanana Valley Community College and University of Alaska. 1988 to present: Sole proprietor of Target Operator Systems, a business that manufactures and markets shooting range equipment for law enforcement agencies nationwide, federal, state and local. Former member, International Association of Law Enforcement Firearms Instructors - involved in training law enforcement, security and private investigators personnel in the safe use of firearms. Honorary Life Member, president and Chairman of the Board of Directors of the Montana Shooting Sports Association, the principle organization asserting the rights and prerogatives of gun owners and hunters in Montana. MSSA is a statewide organization, is nearly two decades old, and is affiliated with the National Rifle Association and the Citizens Committee for the Right to Keep and Bear Arms and allied with Gun Owners of America. MSSA is a nonprofit Montana corporation. MSSA actively presses pro-gun legislation before the Montana Legislature, successfully 68 times. MSSA also delivers firearm safety programs to the public. Certified by the Second Amendment Foundation to teach and to train and certify instructors to teach any gun safety curricula designed, adopted and fielded by MSSA. Director and Secretary of the Western Montana Fish and Game Association, Montana's oldest and largest regional organization of sportsmen, founded in 1911, with over 1,000 local members. WMFGA is a nonprofit Montana corporation. WMFGA owns and operates one of the most extensive shooting ranges in the Pacific/Rocky Mountain northwest, the Deer Creek Shooting Center. Former Chairman of the Range Committee (past Range manager, including enforcement the safety rules for the Range), and Chairman of the Public Policy Committee of WMFGA. Appointed by two governors to the Governor's Concealed Weapon Permit Advisory Council, pursuant to 45-8-329, M.C.A. The Council is made up of law enforcement personnel, legislators, representatives of pro-gun groups and MTDOJ, prosecutors, and others. 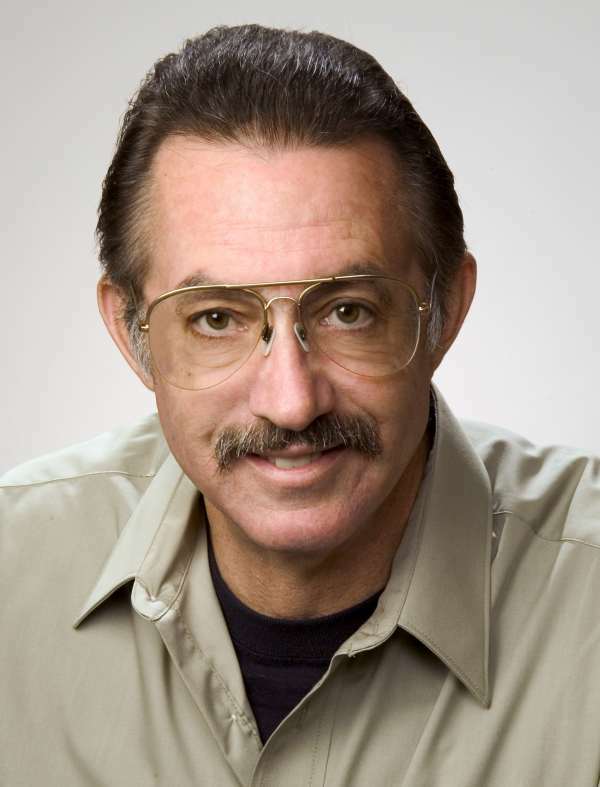 Past president of the Montana Rifle and Pistol Association, the organization administering the traditional NRA-sponsored shooting disciplines in Montana. Past member of the Board of Directors of Gun Owners of America, a national pro-gun advocacy group. Honorary Life Member of the Big Sky Practical Shooting Club. Recipient of the nationally-awarded Saint Gabriel Possenti Medal for “Defenders of the Faith”, awarded to one to three persons each year for exceptional contributions to U.S. gun owners - selected and awarded by the Second Amendment Foundation at the national Gun Rights Policy Conference. Recipient, Gun Rights Policy Conference, Second Amendment Foundation, national Grassroots Activist of the Year, 2009. Active competitor in the sport of "practical pistol", a sport requiring speed and accuracy with handguns. The international governing body for this sport is the International Practical Shooting Confederation (the sport is often known by this acronym, IPSC [ip' sic]), and the national governing body is the United States Practical Shooting Association. Competitors in this sport shoot under the most strict set of safety rules of any shooting sport. Fire up to 10,000 rounds annually in practice and competition for about 25 years. Competitor in the sport of "precision rifle", engaging small targets at long distances under practical, field conditions. Handgun hunter of big game; elk with a .44 magnum revolver, and deer with a .45 autopistol. Certified by the Second Amendment foundation to teach all gun safety programs, and to train and certify instructors to teach all gun safety programs. Has graduated between 5,000 and 6,000 students from a curricula qualifying graduates to apply for a Montana concealed weapon permit. Author of Gun Laws of Montana (Montana Publishing), a trade publication now the standard reference for this issue across Montana. GLM is used as a reference by gun owners, law enforcement personnel and agencies, attorneys, courts and the University of Montana Law School Library. Author and curricula developer, Be Safe, a gun safety program for children, designed for children in first through third grades. The primary message of the Be Safe program is: "Don't touch! Do not handle firearms without adult supervision." The secondary message is: "If you ever see another kid playing with a real gun, leave the building and tell an adult." The Be Safe program has been distributed to every elementary school in Montana, and literally thousands of Montana schoolchildren have received the training. The Be Safe program is supported by a state law (20-7-132, M.C.A.) calling on schools to provide gun safety training as a part of their school curricula. Author and curricula developer and primary instructor and instructor trainer, Introduction to Handguns for Women (IHW), designed to train women who have no experience with handguns. IHW teaches the three primary rules of gun safety, which are: 1) All guns are loaded. All guns must always be assumed to be loaded. It is the guns people think are unloaded which cause accidents; 2) Muzzle direction. Never point a firearm at anything you are not willing to destroy; 3) Finger out of the trigger guard. The gun handler must keep their finger out of the trigger guard (and along the frame) until they are ready to shoot. Over 1,000 western Montana women have graduated from IHW. Author and curricula developer and primary instructor and instructor trainer, Gun Safety for Concealed Weapon Permits (GS-CWP). GS-CWP is a curriculum similar to IHW, but is an either-gender class. Over 5,000 persons from western Montana have graduated from GS-CWP in the past few years. Formerly certified by the State of Montana as a Firearms Instructor for initial training and requalification of state-licensed private security guards and private investigators. Since 1985, heavily involved in the formulation of public policy concerning civilian ownership and use of firearms in Montana. Has testified before scores of legislative committees about firearms issues. Has drafted many successful pieces of legislation concerning use and ownership of firearms, shooting and hunting, 68 items enacted into law. < 1-1-224, M.C.A. Observance of right to keep and bear arms, 1991. < 1-1-226, M.C.A.. Official observance of Montana's hunting heritage, 1991. < 27-1-721, M.C.A. Immunity of certain firearms safety instructors, 1995. < 70-17-101, M.C.A. Easements to use land adjacent to a shooting range as a safety zone, 1993. < "Dangerous and unusual" weapons, as used in Heller, 2008. Newspaper and magazine articles and opinion pieces too numerous to detail.